My Mom has regularly visited Bucerias over the last 20 years, which is why I have often visited it myself, including this past February for a week. 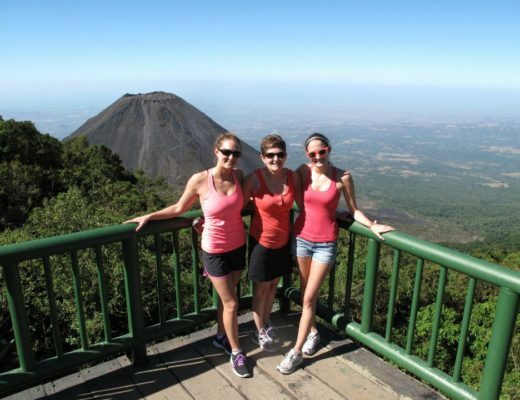 What’s great about Bucerias is that it has so much to offer, and everything is convenient, safe and walking distance. 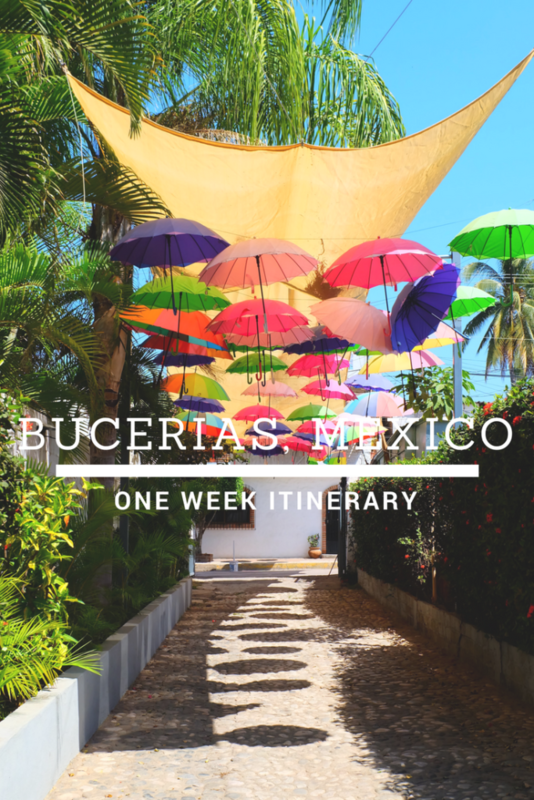 From my past experiences in Bucerias, I put together this one week itinerary to help with your trip planning. But don’t worry, if you can’t travel for a week, I already have a two day itinerary up on my blog here. 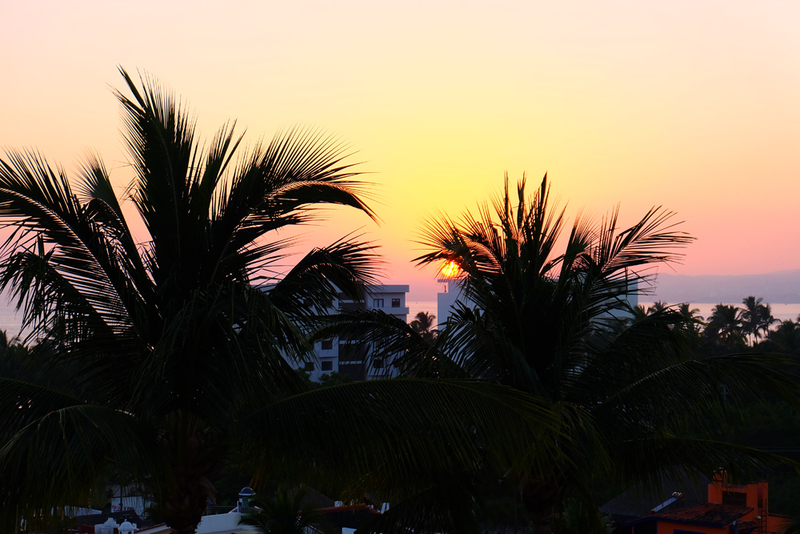 Spend your first day in Bucerias by kicking back and relaxing. We all know traveling to a new destination can be exhausting, so even though I’m an active traveler, a day to do nothing is always a good idea on vacation. Bucerias is obviously on the water, but if you’re not staying at a beachfront hotel, then there are a few options to access the beach. The first, is to bring your own towels/chairs down to the beach and claim a spot! Easy peasy. The second, if you want the amenities but aren’t staying on the water, Sukha Beach House can be a great option. This restaurant, and beachfront bar allows you to reserve a table and beach chairs out front on the beach as long as you spend 200 pesos throughout the day, which you likely will. You can make a reservation right through messaging them on Facebook. 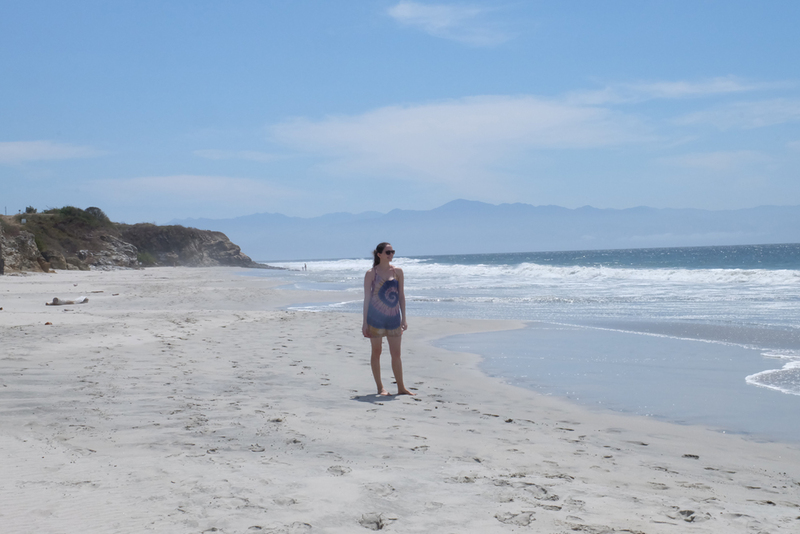 What I love about Bucerias is that there is seriously so much to do in this little town, and you don’t just need to sit on the beach the whole time or in your resort. For day two, I’d book a tour that best suits your interests! 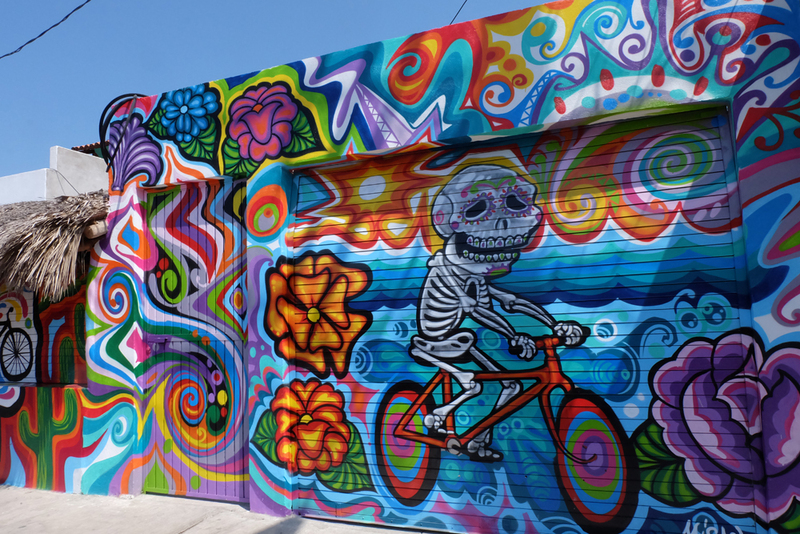 You can do a food and bike tour with Bici Bike, an artsy workshop at Splash of Glass, or really immerse yourself in local culture and tradition through a tour with Human Connections. Spend day three how you wish! Whether that be on the beach, shopping around the cute little shops in Bucerias, or by the pool at your hotel. 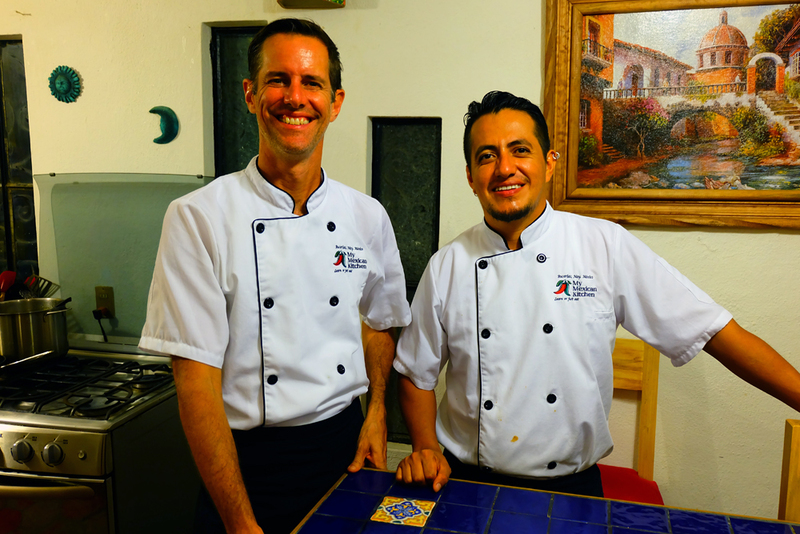 However, get ready for an amazing meal that you’ll help cook yourself at My Mexican Kitchen, a local cooking school. I’ve done a cooking class here and really loved it. It’s a great way to learn about local food, and also a fantastic social event for the evening. You’ll cook up a variety of different dishes, it’s BYOB, and you’ll then get to enjoy the fruits of your labour at the end of the night. The owners, Edgar and Travis, like to keep the groups small, so make sure to book in advance. Keeping the group small allows for the night to be intimate, hands-on and educational. One of the awesome things is, each day is a different theme for the meal you’ll make, and if you’ve attended a class previously, the owners will aim to make completely different dishes so you never repeat a menu item! Another day, another beach. It’s time to head to one of the beautiful nearby beaches for the day, Destiladeras Beach. This beach is located only about a 15 minute bus ride or taxi ride from the main centre of Bucerias, it’s large, beautiful and worth a day trip. There are a few restaurants and snack bars that line the beach, but you can also pack your own coolers with drinks and snacks. However, if you want to rent a beach chair on your visit, you’ll need to spend some pesos at the restaurant or vendor you rent from! This usually isn’t much more than a couple hundred pesos. Bucerias is nearby so many cute little Mexican towns, which means it can be a great home base for adventures further off. Leave Bucerias behind for the day and head out to one of these cute little towns. 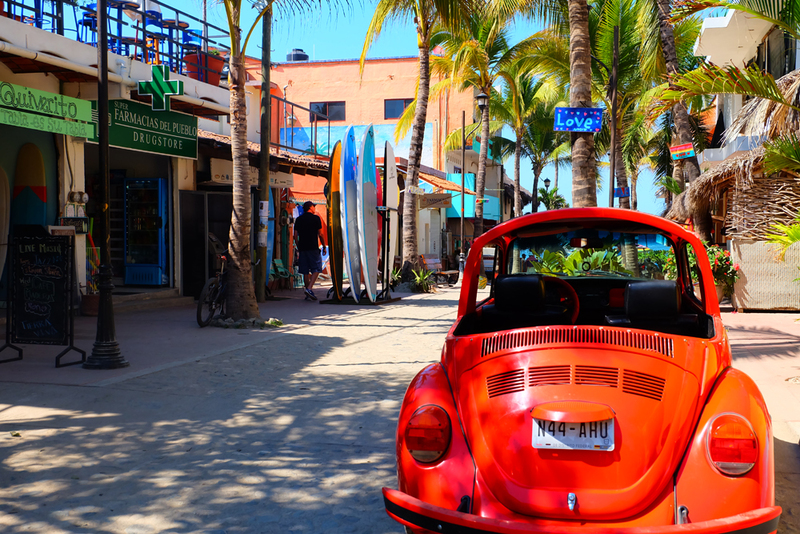 Sayulita is an adorable hippie/surfer paradise, and San Pancho can be a great stop to stroll cute shops and to spend the day on the beach. Most of these nearby towns can be accessible by local bus (which is cheapest and safe), or by renting a taxi to take you there and back. 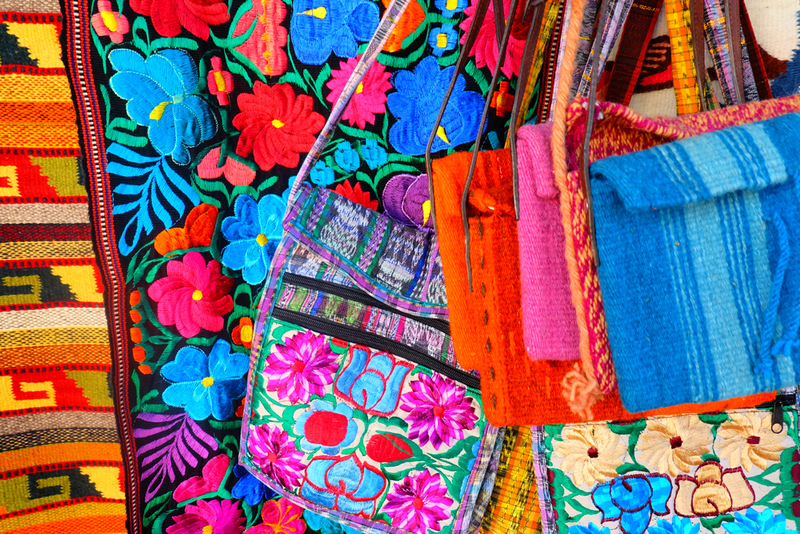 There are a ton of great Mexican markets where you can shop for local handicrafts and artisan goods in and around Bucerias. The one thing is, you can’t necessarily plan for this to fall on a specific day of your trip so you may need to move this itinerary around a bit. Most markets happen on the same day/time of the week each week, especially during prime tourist season. You can find a list of the different markets and the days they fall on here. Make sure to try some of the local food stalls while you market hop! 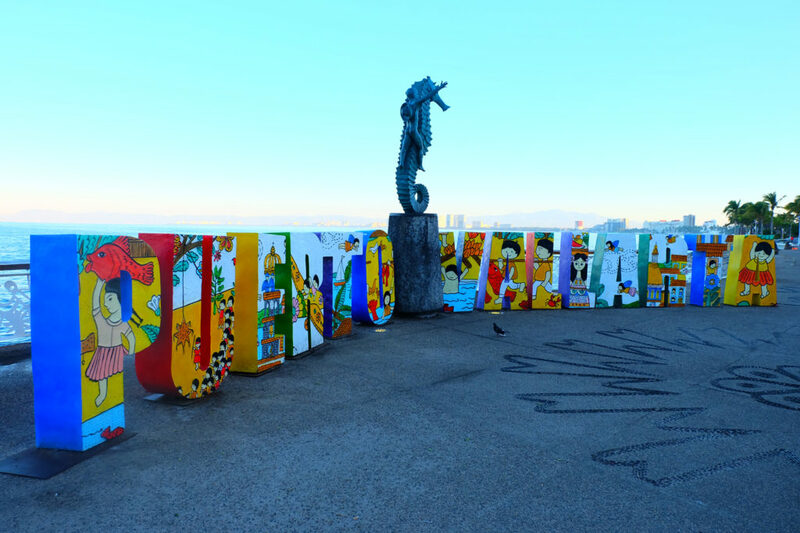 Puerto Vallarta is just a quick taxi or bus ride from Bucerias, and it’s a great place to spend a day or two dependent on what you’re looking for. 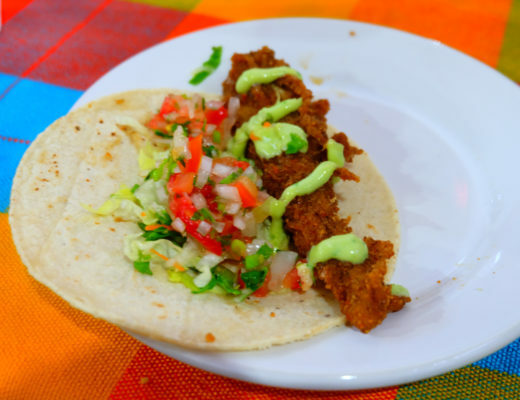 There are a ton of restaurants to eat at, as well as activities to do. 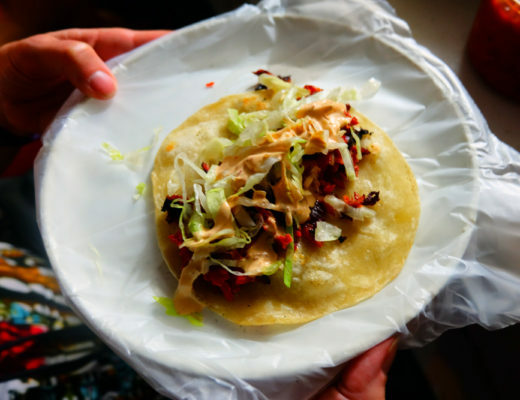 Just like Bucerias, there are a bunch of different tours and experiences you can book, ranging from local excursions to cooking classes/market tours (check out Arte Culinario for cooking experiences). Join a walking tour with Puerto Vallarta Walking Tours or Sylvie Scopazzo. 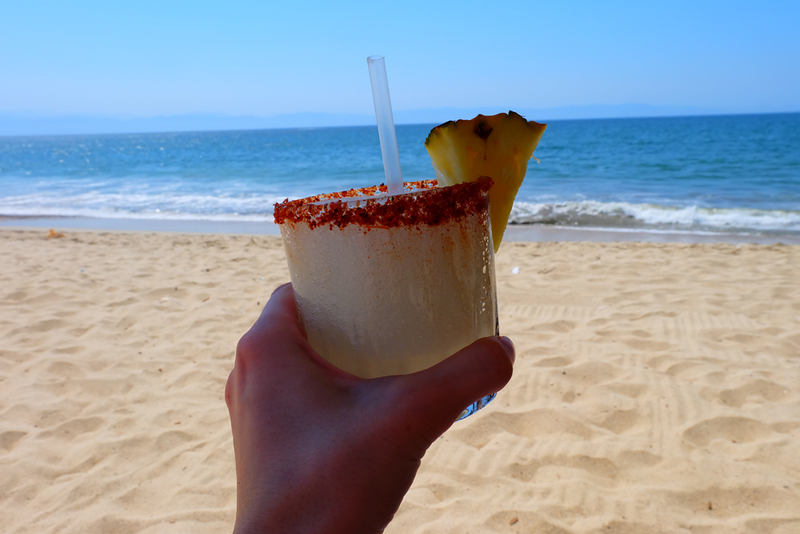 For a full list of ideas for Puerto Vallarta, click here. Bucerias is an amazing little town, it’s incredibly safe, vibrant and full of things to do. Even if you’re staying at the all-inclusive resort, the Royal Decameron there, it’s so simple to walk off the resort and explore. I’d actually highly recommend to not stay at an all-inclusive because there are so many fantastic restaurants and bars to explore off the hotel grounds. Here is a list of some great restaurants to eat at! Pin the below image to save this itinerary for later!